Here at Crow's World of Anime, I generally don't do tag posts. It's not because I don't like or appreciate them (I do! ); it's that I operate under pretty severe time constraints. This is one of three blogs I operate (though it's my most popular and the one I spend the most time on! ); I have a full time job that has, let's say, variable hours; and Real Life intrudes way more than I like. But when Irina from I Drink and Watch Anime tagged me for the Brotherhood Award, I figured I should make time. We both reviewed Record of Grancrest War at the same time, and though it wasn't an official collaboration (I can't do those because of that pesky time thing! ), I enjoyed our back and forth commenting almost as much as if it was. I identify a lot with Kodaka Hasegawa. I even seem to remember a lot of looks like Sena's giving him... Capture from the Crunchyroll stream. I'd to answer with someone powerful and in control like Ayato Amagiri from The Asterisk War. Wouldn't it be great to have not only his power and influence, but the group of friends that he has? What guy wouldn't want to hang around Claudia Enfield, Julis-Alexia von Riessfeld, Saya Sasamiya, or Kirin Toudou (after the latter got a lot older, of course!)? Or heck, exploring the "guy" route a bit more, what guy wouldn't want to be like Kimihito Kurusu (Darling-kun) from Monster Musume: Everyday Life with Monster Girls? Having Miia, Rachnera Arachnera, Centorea Shianus, Lala, and the others around would certainly make for a lively day! Alas, and this may or may not come as a shock to you, but I have very little in common with either of those characters. No, the anime character I still identify the most with is Kodaka Hasegawa from Hagani: I Don't Have Many Friends. The answer is more mundane than you might think. 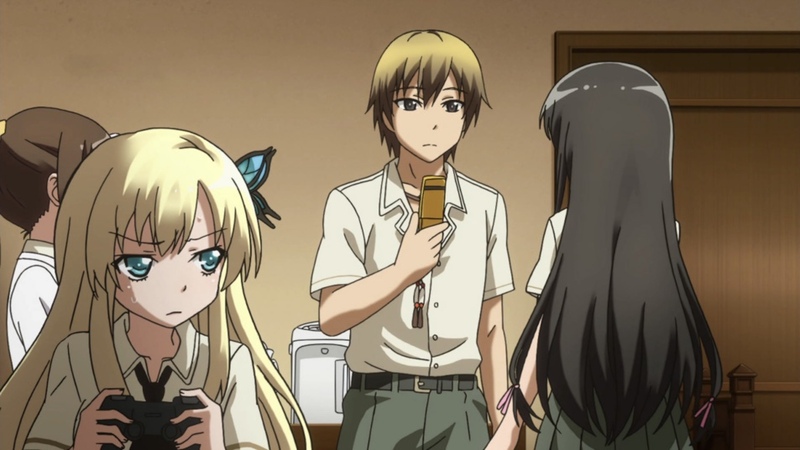 No, I didn't have young women like Sena Kashiwazaki hanging around me. It's more that I was objectively a bit of an odd duck (no fowl jokes just because this is Crow's world, please!). In high school, I was over 6 feet tall and grew up on a farm, so I basically spent all summer working out. You haven't lived if you haven't baled hay in 95 degrees (Fahrenheit) heat! So, most of my classmates probably expected a certain world view from me. But I not only did well academically, I read science fiction and fantasy. Even worse: I wrote it! So I didn't exactly fit in. Starting to see why I identify with Kodaka? But look on the bright side: At least I don't identify more with Tomoko Kuroki from WataMote: No Matter How I Look At It, It's You Guys' Fault I'm Unpopular! It could have been worse! If I could live in any anime world, I could do worse than xxxHolic. Magic, wonder, and reasonable danger. What's not to like? Capture from the Funimation stream. You have no idea how tempted I am to wimp out and answer something like Food Wars! Shokugeki no Soma because it's basically our real world! I have a feeling that's a cowardly way out, and to honor the effort that Irina put into crafting the questions, I'll answer as if this means a world that's not like ours. That means Sword Art Online's out, too, because it's too much like the real world (well, the parts that don't happen in RAM). Which is too bad, because I'd love to meet Rika Shinozaki (Lizbeth)! It'd have to be a world that's not so blindingly dangerous that just walking around could get you killed, so that rules out Attack on Titan or Muv Luv Alternative: Total Eclipse. It'd have to be a world that has challenges, but is not so challenging that your family's always at risk. You know what world would be interesting to visit? The world of xxxHolic. It's close enough to our world that I'd have a real chance of surviving, but different enough to have unique challenges and capabilities. And there're a lot of characters that I'd like to meet there (see the next question)! Trying to forge a civilization that included humans and beings like this Zashiki-warashi would be amazing. Capture from the Funimation stream. 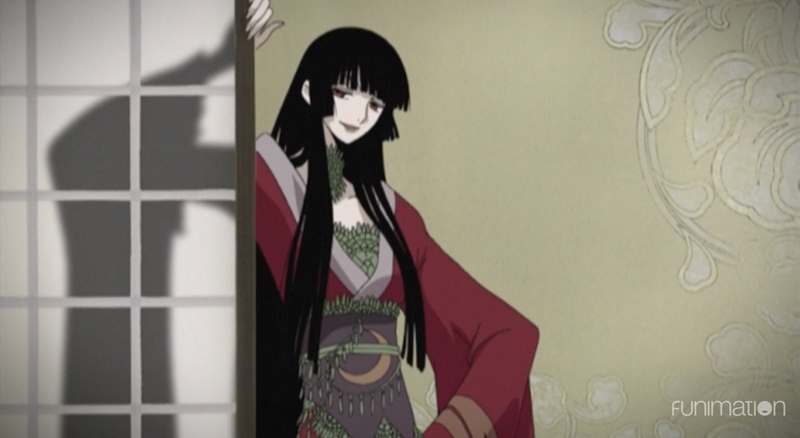 In the world of xxxHolic, I'd be the estranged student of Yuuko Ichihara, the inter-dimensional witch. We would have had a falling out over something stupid that was my fault -- me misunderstanding something or losing my temper. 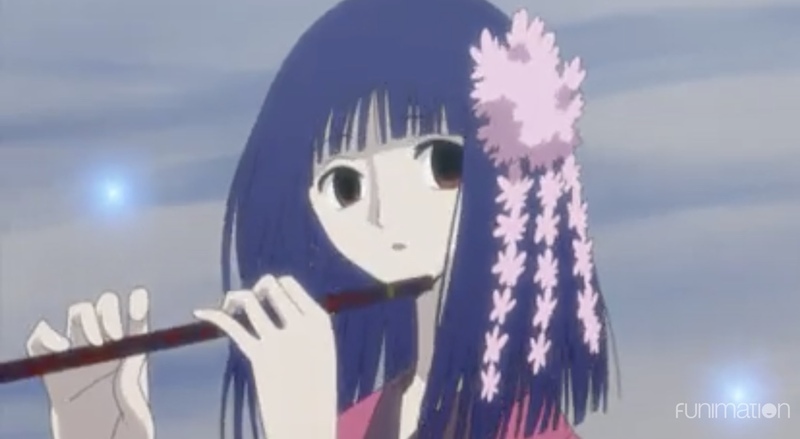 But I'd still be able to interact with amazing characters like Ame-warashi or, even better, Zashiki-warashi. She's so amazing and pure that I think it'd be fantastic to meet her! But who I'd like to meet isn't the question, is it? Here's the job I'd like: Let's say that I had the silly idealistic vision that humans and spirits should not only co-exist, but should try to cooperate and build an integrated society where everyone's rights are protected. My job would be to establish the relationships needed to begin that work. It might be an impossible job, but it'd be noble and worthwhile! Of course, I'm entirely unsuited for such a job. I'm a tech guy! But maybe the challenge would expand my horizons! Now, this is a tough question. The ani-blogging community is filled with a lot of talented and interesting bloggers. I could start listing just about any one of them and make a case that a collab would be a lot of fun! But remember my time constraints? I flat out don't have time for it, so I think I'll play the cowardly card for this question and skip it! 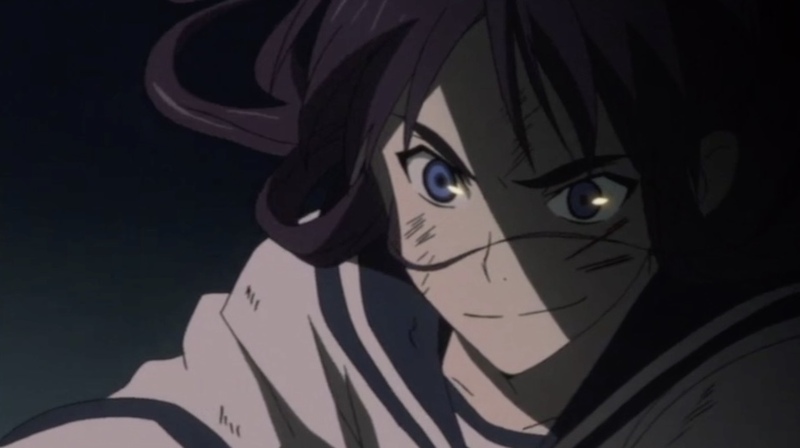 The character trait to recognize the rightness of a cause, and the conviction to stand beside others like Makina Hoshimura as they fight for that cause, is very appealing to me. Capture from the DVD Shikabane Hime, which is available from Amazon. If you look back at my reviews, you'll notice a trend that makes it look like I enjoy rooting for the underdog. Just look at my Caw of Fame writeup for Corpse Princess or, more recently, my reviews of Black Bullet. But what I'm really doing is something subtly different. Makina Hoshimura isn't some damsel in distress who needs my help. Enju Aihara isn't moping around waiting to be saved. These characters, and all the others like them that appeal to me, are powerful women who are fighting to make a difference. Despite often violent prejudices against them, they still strive to do their best. You can see the personality trait that I really love to see in characters like Ouri Kagami or Keisei Tagami from Corpse Princess and Rentarou Satomi from Black Bullet. I love to see when a character recognizes the worth in someone (or someones!) who are treated unfairly and fights beside them! Instead of the sentiment of a knight protecting a princess, I admire the sentiment of a character who joins the front line of battle beside the down-trodden. I completely understand that this still seems sexist. I mean, there's often the possibility of romance in these scenarios (and no, not with Enju!) that make my motivations suspect. But in my defense, at least I've pushed myself past the "saving the damsel" mode! I hope I get some credit for that! I think Gandalf had an easier time researching the Ring than I did trying to make sure I didn't renominate someone! Image borrowed from A TOLKIENIST'S PERSPECTIVE. You know, this part was way more difficult than all the other sections combined. First, narrowing it down from the list of the sites I follow was bad enough (so many of them deserve the attention!). Then I had to cross check against the award posts from I Drink and Watch Anime, the post from Merlin's Musings that nominated Irina, the post from The Moyatorium that nominated Merlin, the post from Anime Q and A that nominated Moyatori, the post from Ryuji Tatsuya's Anime Corner that nominated Cactus Matt, and the post from Midnight Ravings that nominated Ryuji. The nominations left the ani-blogging space for at least two generations after that (or, rather, I should say entered the ani-blog sphere at that point), so I stopped tracing. The point I'm trying to make is that I had to make sure I didn't renominate someone who was already nominated. But you know what? After all that, I got to stick with my original list! And now I can only hope I did this right and the nominees know that I've tagged them! My questions might not be as interesting as Miss Kobayashi's Dragon Maid, but I gave it my best shot! Capture from the Crunchyroll stream. 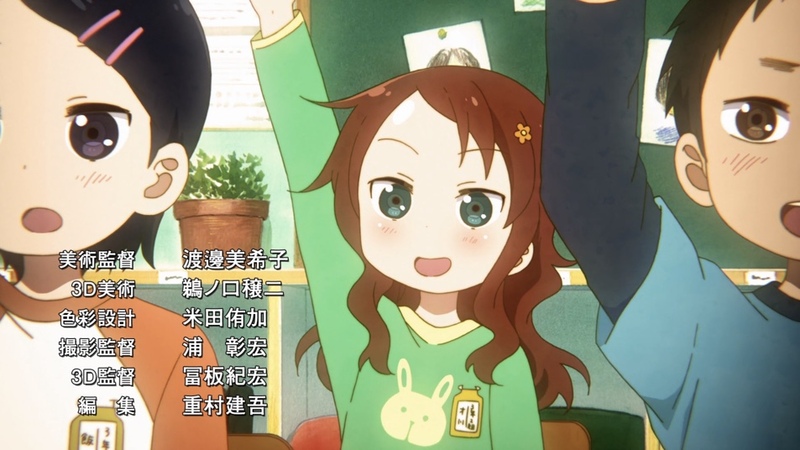 Who's the last anime character you identified with and why? What anime universe, other than one that directly mirrors our own, would you like to live in? What's the fastest you've ever dropped a new series and why? What series or character most closely expresses your personality? What anime series, not licensed in your area, would you most like to see released and why? If you've read this far, I feel like I should have some kind of award to offer you! Thanks for sticking with it! I hope you enjoyed reading. I know I enjoyed writing this, because Irina's questions really got me thinking! Any thoughts on the world I chose? The job I'd like to do? Please feel free to express yourself in the comments! How did I miss this!!! And good thing you let me know I would have missed out on such a great post!!! Thanks for playing Crow and Congratulations!!! XxxHolic is a great world!